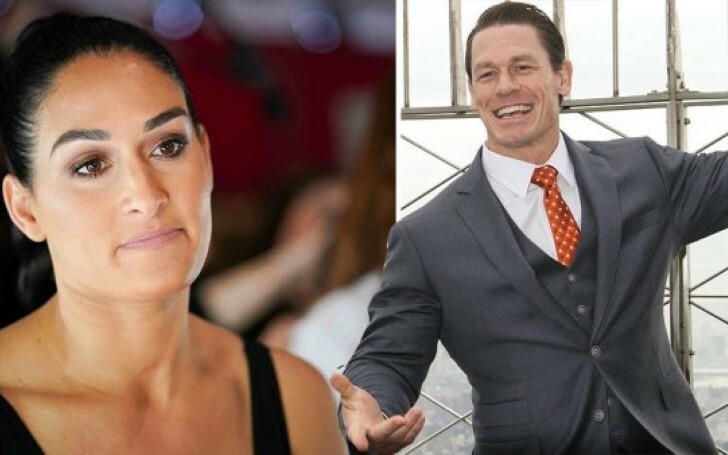 WWE star John Cena is back in love after a tragic 6-years-long relation breakup with former fiancee Nikki Bella. After ending up his 6 long year relationship with former WWE superstar Nikki Bella, the star who claims 'You can't see me' created a new story for everyone to see with an unknown brunette in Vancouver, Canada. According to TMZ, the WWE icon John Cena and her mysterious girlfriend were witnessed "Cozied up arm-in-arm together after sharing a 4-hour dinner date." The 41-years-old star seemed trendy on his light grey woolen sweater along with dark casual jeans and similarly, John's new love was ravishing in black jeans with skin-tight leather pants. The former World Heavyweight champion is currently on a shoot of his upcoming movie "Playing With Fire". Meanwhile, Cena's former fiancee Nikki was recently at California hanging with Dancing with the Stars partner Artem Chigvinstev. John Cena and Former Fiyancee Nikki Bella. After TMZ broke the news with Nikki she is reported to reply saying "I am 'NEVER' getting back with John, and based on this pic ... he seems to be just fine with that.". So guys what do you think about our all-time favorite John's new relationship? Stay updated with us and find more about Cena's secret relationship.